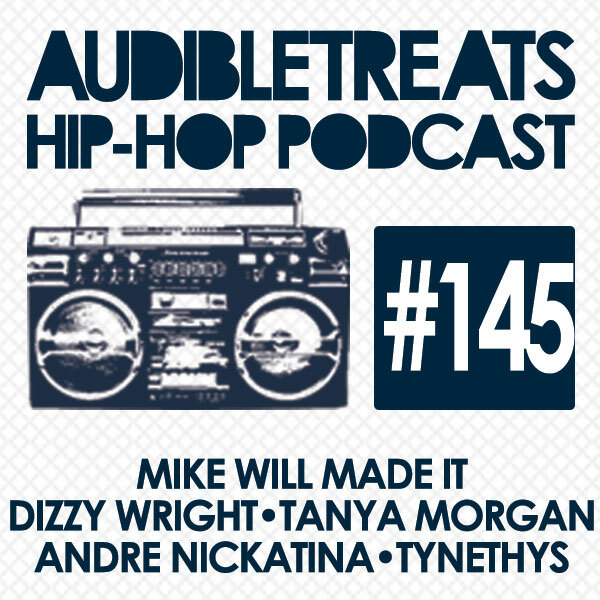 Audible Treats latest Hip-Hop Podcast returns with one of our most star-studded episodes yet. Super producer Mike WiLL Made It starts thing off with his ode to arguably the best sneakers ever created, the iconic Jordans, with “23” featuring the one and only Miley Cyrus, Juicy J, and Wiz Khalifa. Dizzy Wright follows with his soulful “We Turned Out Alright” featuring Fugees legend Wyclef Jean. Tanya Morgan taps Nitty Scott, MC with an ode to the modest relationship in “Never Too Much For Me.”Andre Nickatina’s “Candy Paint” feat 100S and Mac Mall is a track as smooth as well; candy paint. Rounding out this installment is Tynethys, whose collabo with Main Attrakionz brings us the sunny “On1.” Stay tuned for our next podcast.